High Temperature Ducting used for hot air movement, exhaust ducting, fume extraction and other applications where a ducting is required for conveying extreme temperatures. Temperature range -90c to + 550c. 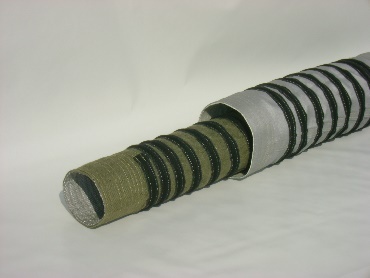 Diameters from 120mm to 800mm, any required length up to 10m. Supplied with cuffs/ metal band each end.